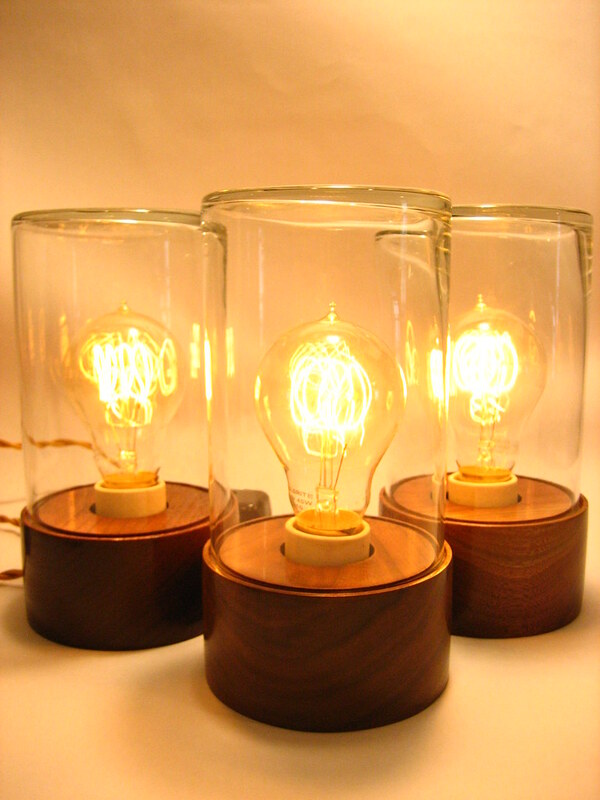 Oak or walnut, lamp hardware, 10" x 4"
Composed primarily of off-the-shelf parts and a turned wooden base, the Jar Lamps come in two flavors: bourbon and walnut. The oak comes from an old bourbon fermentation tank (where the yeast breaks down the sugar in the mash converting it to alcohol and carbon dioxide over a period of three days). Basically, this wood has soaked up a lot of bourbon over the years. The base is left unfinished and traces of the tank wall remain. 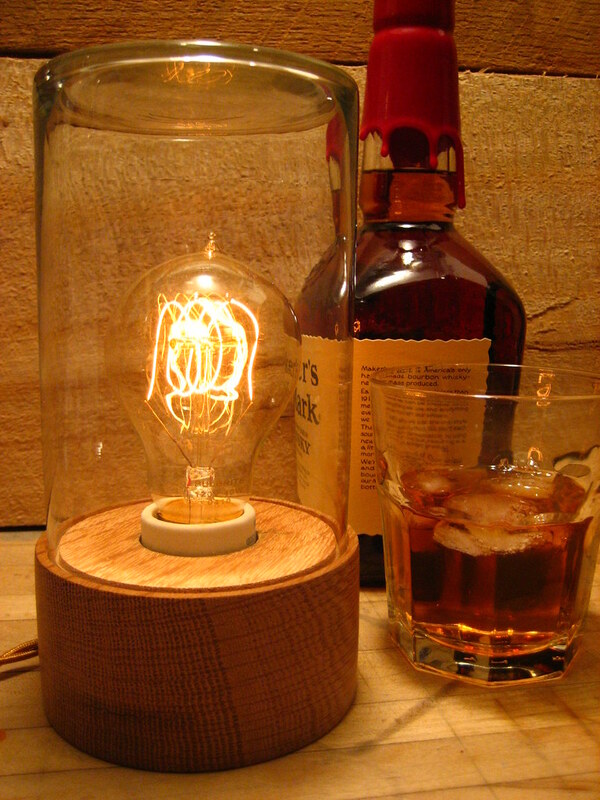 When the bulb heats up and the jar removed, the smell of bourbon fills the air. 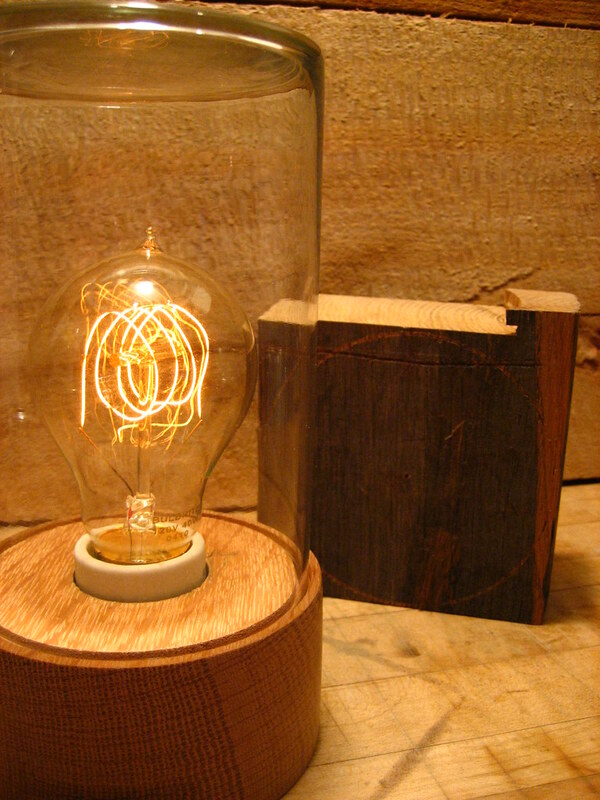 By far, the best smelling lamp I ever made. 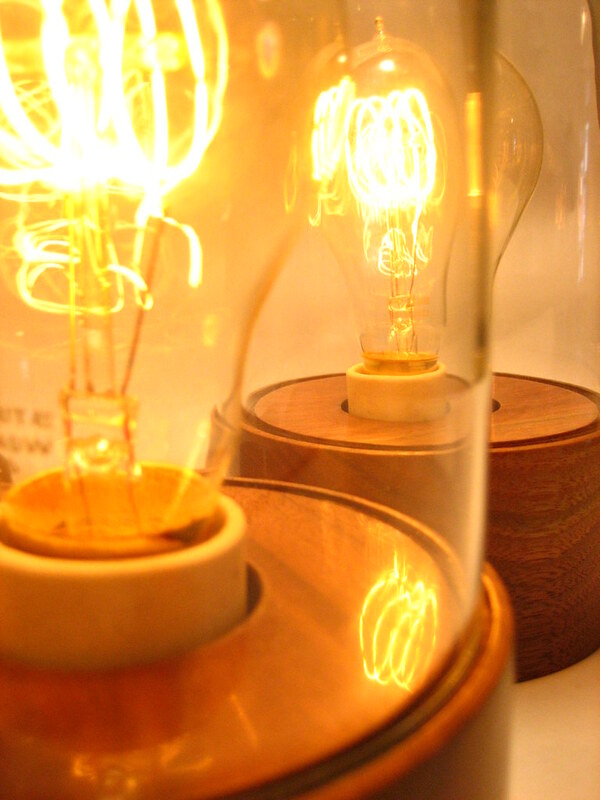 The walnut may not be as fragrant a material, but is incredibly beautiful. 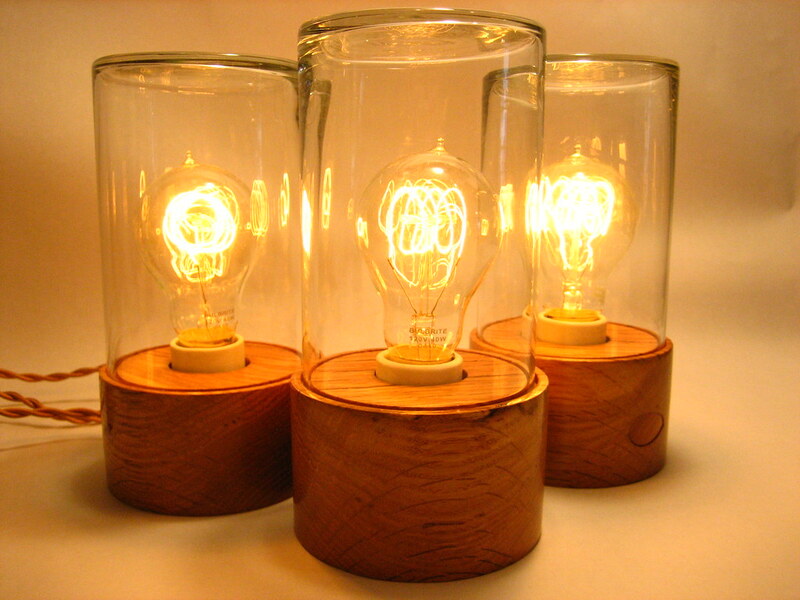 Jar Lamps are available for purchase.